CAL – I – FOR – NIA here I come…. Wendy and I had a second journey for the second weekend in a row. We jetted our way to Los Angeles for a few days at the USW THQ! What a few days – we were going hard to get all the information we desired and to see the best of their work. I bumped into Guy Newmark in the parking lot outside Starbucks. 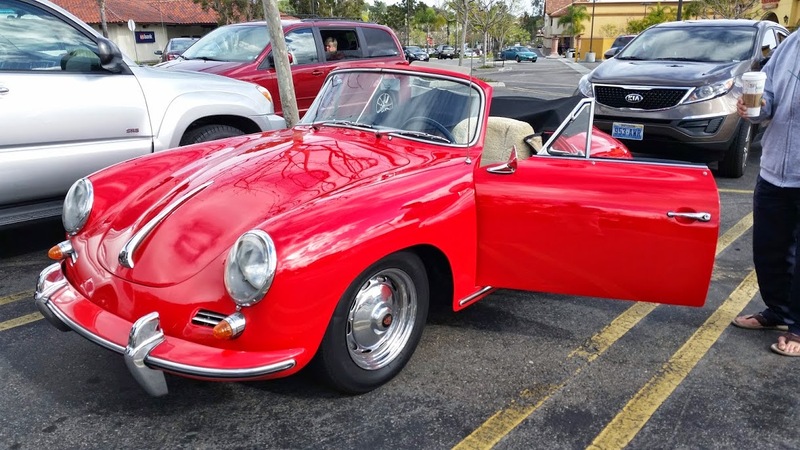 He was driving his red Porsche that day but below is his story with his blue “million mile” Porsche. He was kind, interesting and friendly. I asked if I might get a picture of his car…”of course and look up my million mile Porsche”.